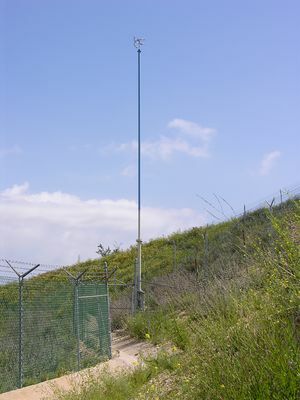 This photograph captures the final execution of KMLT's antenna. Yes, the steel support pole is painted sky blue. May 2006.